Meena Infotech, is Kanpur, Uttar Pradesh, India based designing company, and is a name to reckon with in the field of flash designing. It does not matter whether you want us to design a flash animation or flash banner, our designer has the complete proficiency and expertise in it, and custom design is our forte. Imagination, creativity, professionalism and innovativeness are not merely a buzzword for us, but a reality. And we have no hesitation in saying that our team is our strength. Our designers are consistently providing professional and highly result oriented services in flash designing within the budget and time of the client. Our designer’s working experience, creativity and professionalism are unmatched. We are committed to provide absolutely wonderful customer support. We are providing highly committed, affordable and professional services in the following, flash banner design, flex development, flash game development, graphics, animation, logo, multimedia designing and much more. With robust animation, multimedia interactivity, Flash presentations are compelling business communication tools. We offer two types of Flash presentations: slide shows and movies. Slide shows share PowerPoint’s discontinuous movement and slide concept while Flash movies have continuous animation throughout. All Flash presentations include multimedia options such as voice over, music, and incorporation of video clips, and interactivity options such as play controls, status bar, volume control, hyperlinks, menu-based non-linear navigation, and other custom functionality. Why Choose Meena Infotech for Flash Website Designing or Flash Animation or Flash Presention or any Flash Work? Professional, committed and timely services. We make it a point to deliver what we promise. Meena Infotech is the right destination for you, if you are looking for a customized flash web design solution. 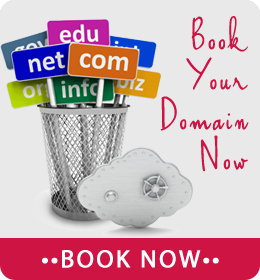 Over the years, we have designed a lot of website in different business domain, and we believe in providing professional yet affordable solution. It does not matter whether you want us to design your corporate identity or personal website, our skilled flash designer will give you one of the best services according to your needs and within your time. We simply do not believe in hidden cost. Our flash designers are in tuned with the latest designing trends, and always try to improve their skill and expertise. We are consistently growing as a flash designing company of India because we are committed and passionate about our work. Our flash designer believes in understanding the complete needs of the client, and only after that, they go for the idea bouncing session, and throughout the web designing process, keeps the client into the loop about the progress of their project. Our flash designer will not only give you absolutely mind blowing visual effects, but also, will give you fully user-friendly navigation, which will definitely make the right impact on the minds of the viewers. We have a reputation for designing search engine friendly flash design because we understand the importance of the visibility because at the end of day you want to reach as many as people as possible. 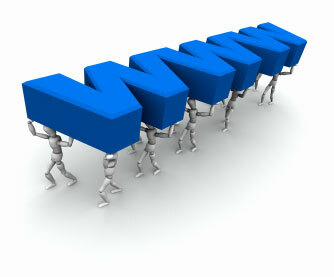 On the net you can find perfect web host which will be match all your needs. Contact us to know more about our working methodologies and expertise in flash, we will get back to you as soon as possible.